This PDF 1.3 document has been generated by Microsoft Word / Mac OS X 10.6.8 Quartz PDFContext, and has been sent on pdf-archive.com on 16/02/2018 at 13:56, from IP address 208.71.x.x. The current document download page has been viewed 52 times. The	student’s	financial,	educational,	safety,	or	health	conditions	would	likely	be	improved. Attendance	in	the	nonresident	district	is	more	accessible	to	the	parent’s/guardian’s	place	of	work	or	to	the	location	of	childcare. There	is	a	special	hardship	or	detrimental	condition. The	purpose	of	the	transfer	is	for	enrollment	in	an	online	course	or	school	program	offered	by	an	OSPI-­‐approved	provider.  Parent/guardian	is	an	employee	with	the	requested	school	district. Has	this	student	been	expelled	or	suspended	for	more	than	10	consecutive	days? attendance	issues	in	the	past	two	years? 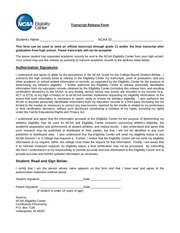 Please	see	second	page	for	important	notices,	acknowledgements,	and	signature. date	at	the	nonresident	school. If	the	request	is	rejected,	the	notification	will	include	the	reason	for	the	denial	and	steps	to	appeal	the	decision. educational	assessments,	etc.). Legal	Reference:	RCW	28A.225.220	through	230. I	certify	that	the	information	provided	is	accurate	and	complete. in	the	nonresident	school	district’s	policy. 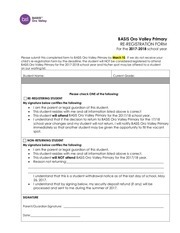 nonattendance	is	subject	to	truancy	procedures. or	the	Individuals	with	Disabilities	Education	Act	(IDEA). 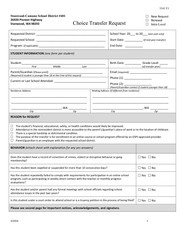 I	understand	that	requests	are	approved	for	one	school	year	only,	and	it	is	my	responsibility	to	complete	a	new	form	each	year. new	request	to	the	new	resident	school	district. student	education	records. The	law	applies	to	all	schools	that	receive	funds	under	an	applicable	program	of	the	U.S.	Department	of	Education. 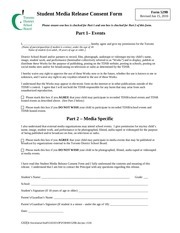 release	any	information	from	a	student’s	education	record. District	at	the	same	time. This	will	ensure	our	district	is	reporting	the	correct	FTE	to	the	state. assessment	results	for	the	student. 2. List	the	courses	to	be	taken	at	named	school	district	and	at	the	SCSD. 3. Add	the	total	number	of	Credit	and	FTE	to	be	taken	–	FTE	cannot	exceed	1.0. This file has been shared by a user of PDF Archive. Document ID: 00735138.